Does Each Class Need a Shepherd? You may also find the discussion "About Shepherds" helpful. 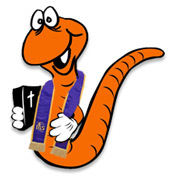 It's in the Managing the WoRM forum. In the Rotation Model, each workshop has a Lead Teacher that stays-put in the workshop, -teaching to a new group each week. And in some Rotation churches, they also have a "Shepherd" who goes WITH each group from workshop to workshop. The idea of having class shepherds makes sense, if you can do it right and sustain it. Some Rotation programs never had them, or stopped using them. Others consider them to be an important part of their model. Shepherds have many obvious benefits, but they also come with a program cost. They are a commitment to recruiting, and therein lies the reason some churches drop the concept, or try to fill the need/role in a different way. A Shepherd is an adult assigned to go with a specific group of kids into each workshop. Ideally, the Shepherd is someone making a multi-month, if not year long commitment. In theory, the Shepherd "gets to know the kids" by being with them every week in each workshop. The Shepherd pays particular attention to the children's needs, while facilitating the lesson. The Shepherd may also have a defined role, such as, opening worship leader. The details of how they interact with each workshop and the lead teacher will vary depending on your goals and needs. In some Rotation churches, the inclusion of Shepherds in the Rotation start-up plan deflects potential start-up criticism that the kids in rotation "don't have the same teacher each week" and thus, "don't develop a relationship" with their teachers. Thus, it's very common to see Shepherds in the first year of Rotation, and not uncommon to see Rotation churches moving away from having Shepherds in succeeding years. How many Rotation churches use Shepherds? Quite a few! But their definition of "shepherd" varies between "long-term pastoral presence" and "warm body." Speaking as one who was there at the creation of the Model, we DID originally include Shepherds in our concept. But in our particular church, we dropped the shepherd role within the first few months because we found that their role was being fulfilled in other ways by other people, and we didn't need "one more position to recruit for." Perhaps the question isn't "Should we have Shepherds?" but rather, "How do we fill the Shepherding Need?" (1) No matter what you decide about Shepherds, you can change, so don't sweat it. Kids need Shepherding! ...so the question is not "if" but "how" you will fill that need. (2) In some Rotation churches where teachers are well-known to the kids, and tend to teach all year, the teachers fill much of the Shepherd's role, so there's less of a need to assign Shepherds. This is particularly true in smaller churches and with smaller class sizes. As well, the steady presence of staff or key leaders can often fill that role of Shepherd in an overall sense. And if your church has an active children's fellowship, where key leaders are always there, then the idea of Shepherds with workshops may be less important. (3) In larger Rotation churches, there may be more of a need for Shepherds, just due to the sheer size of the program, unfamiliarity of the adults with the kids, and a schedule or format that needs more guided movement from one place to the next (Sheep-herding!). For example, some Rotation churches start Sunday School with an Assembly where the Shepherds play a role. (4) What generally does NOT work, is when Shepherds have ill-defined roles, aren't trained in their role, don't have a shepherding personality, aren't given specific things to do in the workshop, and don't know what's going on. (5) Shepherds who should be teachers, and Shepherding as Teacher Training! Many Rotation churches have found that potentially good teachers were opting for the smaller role of "shepherd" when given the option. This reason alone has caused many Rotation leaders to opt-out of the Shepherd option. In a church where there are only so many good recruiting options, you may need to ask potential Shepherds to step up and be teachers. On the flip side, some Rotation churches report that "Shepherding" is a great way to discover new teachers. Other's report that it is an additional "recruiting task" they can't consistently manage. So while "Shepherds" seems like an important idea, if it's going to kill your recruiter, you might think again. (6) "Shepherd" or "Teaching Assistant" ?? Many Rotation churches opt to assign extra help to specific workshops, rather than, recruiting them as Shepherds. One benefit of doing this is that it allows the teaching assistant to get better at the workshop's lesson plan each week too, just like the lead teacher. In one-teacher workshops, a Shepherd will obviously play an important role assisting the teacher. And having been in the other workshops, they can be a source of invaluable information to the lead teacher about "what the kids have already learned" or need to go over again. In "well-staffed" workshops, Shepherds can feel like fifth-wheels. Because nobody likes to feel un-needed, they may say "no" next time they are asked to help. I had a husband-wife team in a small church who always taught the Drama Workshop together, sometimes with their teen. Thus, the Shepherd we had for Pre-K and 1-2, --which only had 5 kids in the class, felt like we had the kids out-numbered. (7) Some groups may need a Shepherd more than others. Younger grades tend to need a Shepherd, especially if class sizes are larger. If you have 6-8th graders in rotation, it's a good idea to have a "cool young adult" go with the teens into each workshop, if for no other reason than to make the mom & dad teachers in each workshop less afraid! As you can see, a lot depends on your AGE RANGE, and NUMBERS, and on your available volunteer personnel. It may also depend on the needs of certain volunteers. Most every church I've been part of has that one special older person who loves to go with the kids, but for whatever reason, doesn't want the responsibility of teaching. So it's quite possible that you might assign a Shepherd based on the needs of that shepherd rather than the kids. (8) I'm going to put this last because it's the most controversial (to some). There is this LEGEND in Sunday School you might call "The Legend of the Amazing Mentoring Teacher". In this legend, people in the church hope that their child will encounter that one magical teacher who will change their child's life. A Christ-figure, if you will. This is what some planners and parishioners hope for the Shepherd will be. And it IS a great hope. But quietly, many of us have admitted that THOSE LEGENDARY TEACHERS or Shepherds were few and far between in the past, and even more scarce here in the future. We lionize them, --the ones who can hold forth every week in amazing ways. But more likely, we can ALL name several boring teachers who UNDID what the one good teacher did that one year you had them. And then there's the teacher who thinks THEY are legendary, but I digress. Truth is, in most churches you're lucky to have ONE Legendary Teacher or Shepherd, let alone one for every grade group, every week, all year long. And here's the thing: Rotation Modelers accept that deficiency as the reality. If your Rotation has all amazing teachers and amazing Shepherds, and never a recruitment problem, we need to get you a website! But if you're in a church like most of ours, we often take who we can get, and the Rotation Model is designed to get the best out of this. That's why we FOCUS ON LEGENDARY LESSONS, and helping regular teachers get better. The other 'myth' out there that Rotation challenges is the idea that kids need the same teacher each week. That may be true in elementary public school, but in Sunday School, it's a rare luxury these days. Most kids don't even attend every week anymore, and few adults commit to that schedule. Rotation Model is honest about that. In Rotation, we shift the burden of teaching one child onto several teachers and several different workshops. It also gives the average teacher the opportunity to at least APPEAR awesome in the eyes of their kids, -because of the creative workshop and lesson plan. Instead of a class having the same teacher each week for a single year, what we get in Rotation Model is the SAME GROUP of teachers spending time with ALL the kids over a period of years. Very early on in our Rotation Model experiments, we realized that in our rather large-church Rotation Model, that the workshop teachers were often well-known parents, or becoming well-known. And these parents took on a Shepherding role in the workshops and outside of them. (Helped to have a great family ministry!) Most of our workshop teachers were "REPEAT teachers" throughout the year, and year to year. Realizing our shepherding needs were being met without assigned shepherds, we dropped the designation from our model. To put it another way, it takes a village, not a legend. Rotation Model also gives average teachers the opportunity to act in Legendary Ways! If you have one fabulous teacher who loves Art and Drama, then in the Rotation Model -ALL YOUR KIDS can be taught by that Legendary Teacher, ...every few weeks, year after year. That's what we saw happening... "The Legendary Miss Val" was no longer just impacting 1 grade for 1 year. Rather, EVERY grade was getting the benefits of her legendary abilities EACH year. If in your church the kids way outnumber the adults, and don't often see the same teachers over the course of the year, and if you don't have a fellowship and family ministry, or you have a lot of unchurched kids, then HAVING SHEPHERDS IS A GREAT IDEA. If you have smaller numbers, regular teachers who are known to the kids outside of Sunday School, and if you have other ministries where the kids shepherding needs are being met, then you can guilt-lessly consider not having Shepherds for some or all of your classes. I hope this brief article stokes your discussion. The right choice is the one you do well.